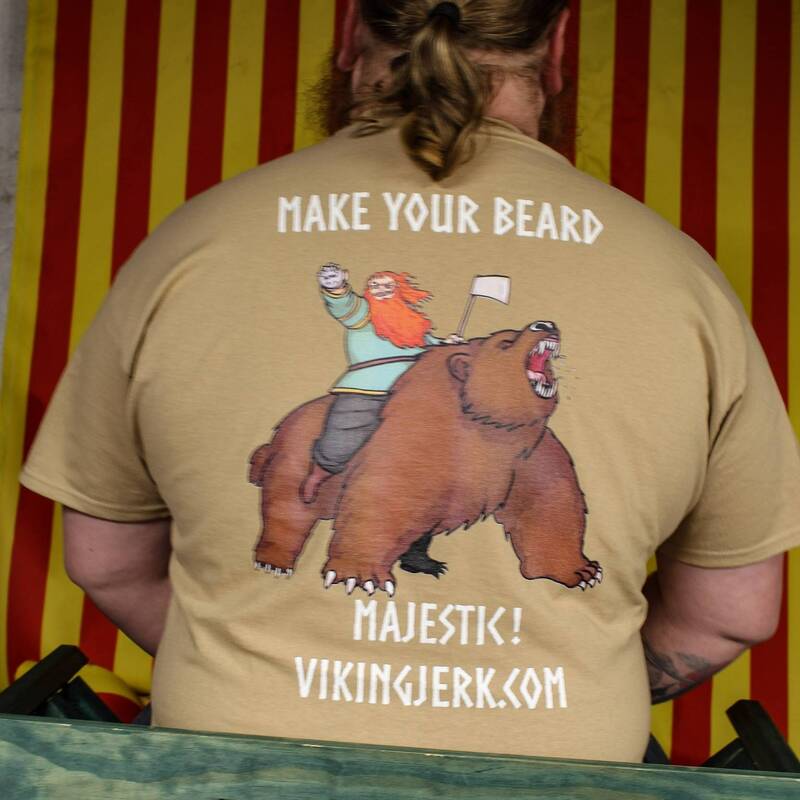 100% cotton T-shirt featuring Viking Jerk! 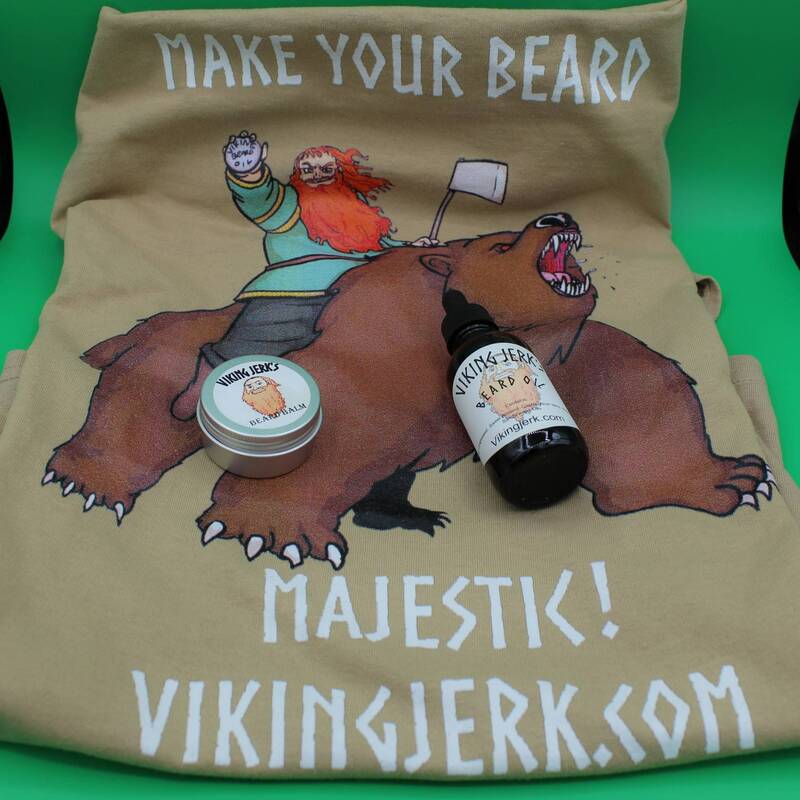 Show your love for Viking Jerk's Beard and hair care products with this shirt featuring Jerk riding a bear! 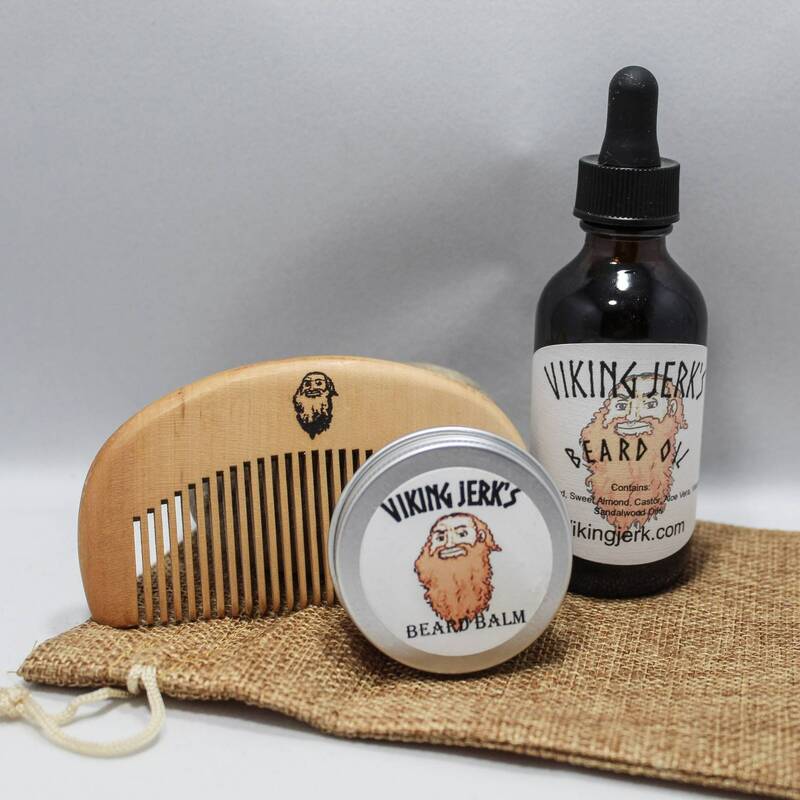 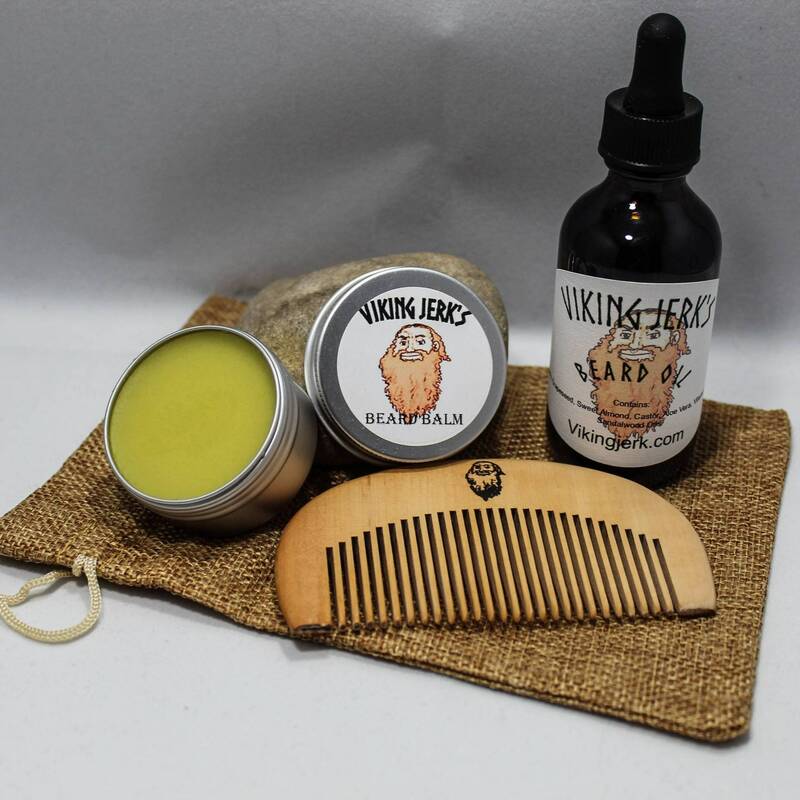 Complete you kit with a Viking Jerk beard comb for just $5.00 more! 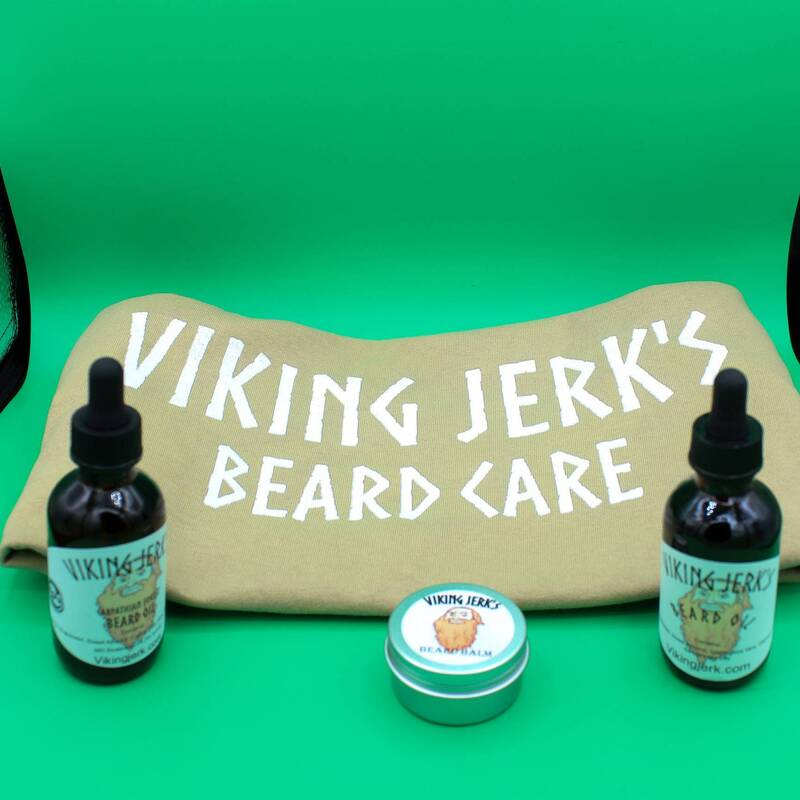 *Note that we have a limited quantity and sizes currently. 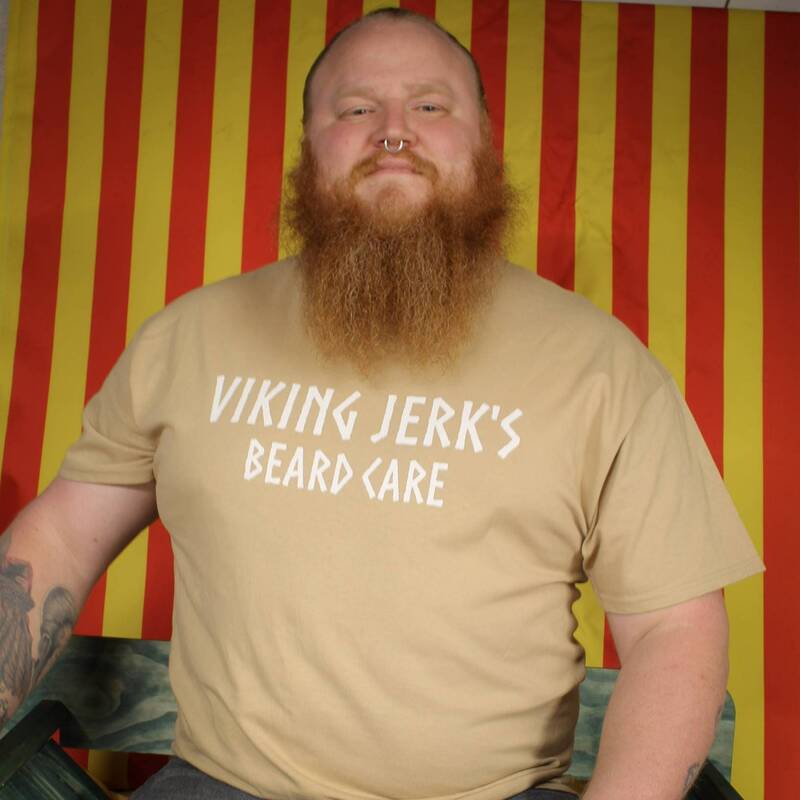 Check back soon, or message us if we don't have your size in stock. 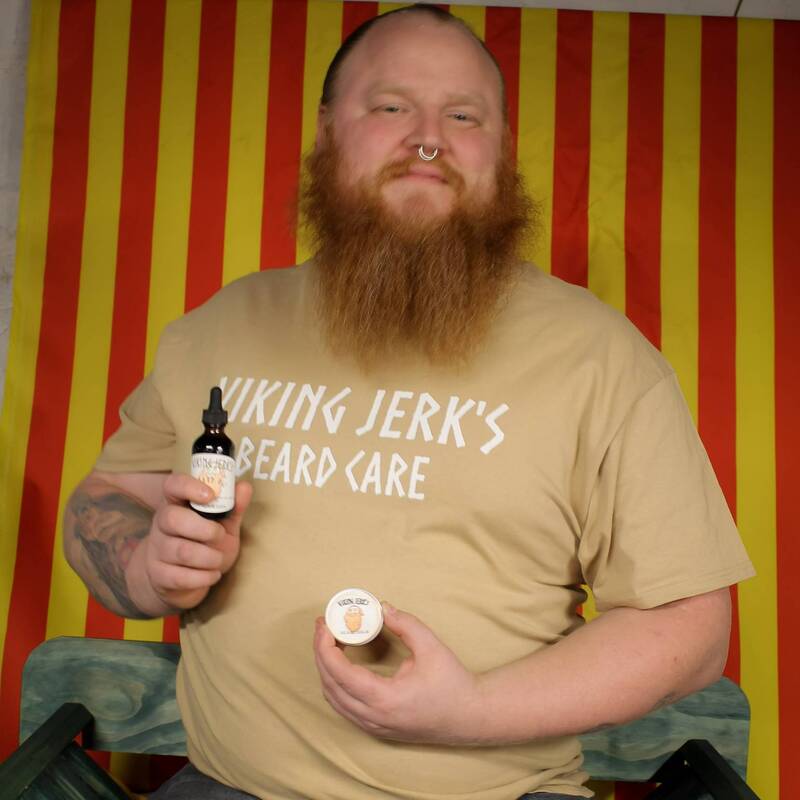 We are ordering more and would be happy to hold one for you in your size!